We are well into the quarterly results season with oil and gas companies counting costs of the recent oil price slump on their profit margins among other things. The price itself is a good starting point. The Oilholic’s latest 5-day price assessment saw Brent nearly flat above US$86 per barrel at the conclusion of the weekly cycle using each Friday this month as a cut-off point (see left, click on graph to enlarge). Concurrently, the WTI stayed above $81 per barrel. It is worth observing the level of both futures benchmarks in tandem with how the OPEC basket of crude oils fared over the period. Discounting kicked-off by OPEC heavyweight Saudi Arabia earlier in the month, saw Iran and Kuwait follow suit. Subsequently, the OPEC basket shed over $6 between October 10 and October 24. If Saudi motives for acting as they are at the moment pique your interest, then here is one’s take in a Forbes article. Simply put, it’s an instinct called self-preservation! Recent trading sessions seem to indicate that the price is stabilising where it is rather than climbing back to previous levels. As the Western Hemisphere winter approaches, the December ICE Brent contract is likely to finish higher, and first contract for 2015 will take the cue from it. This year's average price might well be above or just around $100, but betting on a return to three figures early on into next year seems unwise for the moment. Reverting back to corporate performance, the majors have started admitting the impact of lower oil prices. However, some are facing quite a unique set of circumstances to exasperate negative effects of oil price fluctuations. For instance, Total tragically and unexpectedly lost its CEO Christophe de Margerie in plane crash last week. 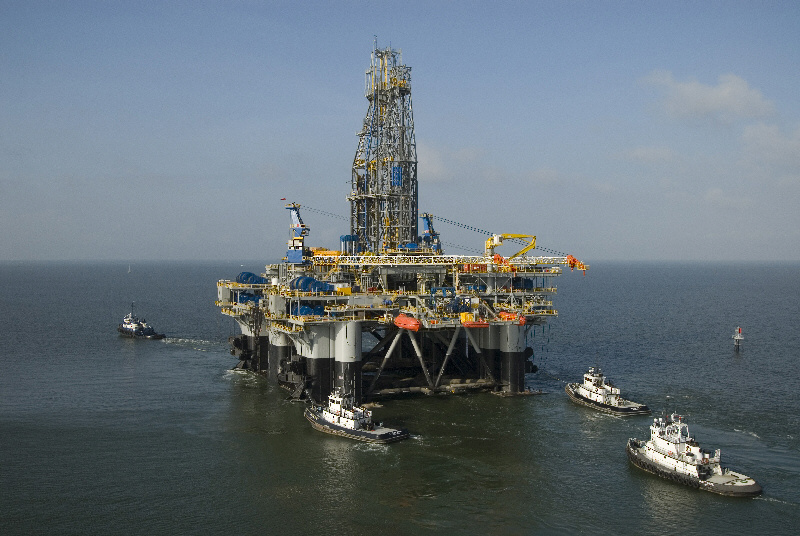 BP now has Russian operational woes to add to the ongoing legal and financial fallout of the Gulf of Mexico oil spill. Meanwhile, BG Group has faced persistent operational problems in Egypt but is counting on the appointment of Statoil’s boss as its CEO to turn things around. On a related note, oilfield services (OFS) companies are putting on a bullish face. The three majors – Baker Hughes, Halliburton and Schlumberger – have all issued upbeat forecasts for 2015, predicated on continued investment by clients including National Oil Companies (NOCs). In a way it makes sense as drilling projects are about the long-term not the here and now. The only caveat is, falling oil prices postpone (if not terminate) the embarkation of exploration forays into unconventional plays. So while the order books of the trio maybe sound, smaller OFS firms have a lot of strategic thinking to do. Fair enough, as the three and Schlumberger, in particular, view the supply and demand situation as “relatively well balanced”. The Oilholic couldn’t agree more, hence the current correction in oil prices! The ratings agencies have been busy too over the corporate results season, largely rating and berating companies from sanctions hit Russia. On October 21, Moody's issued negative outlooks and selected ratings downgrade for several Russian oil, gas and utility infrastructure companies. These include Transneft and Atomenergoprom, who were downgraded to Baa2 from Baa1 and to Baa3 from Baa2 respectively. The agency also downgraded the senior unsecured rating of the outstanding $1.05 billion loan participation notes issued by TransCapitalInvest Limited, Transneft's special purpose vehicle, to Baa2 from Baa1. All were given a negative outlook. 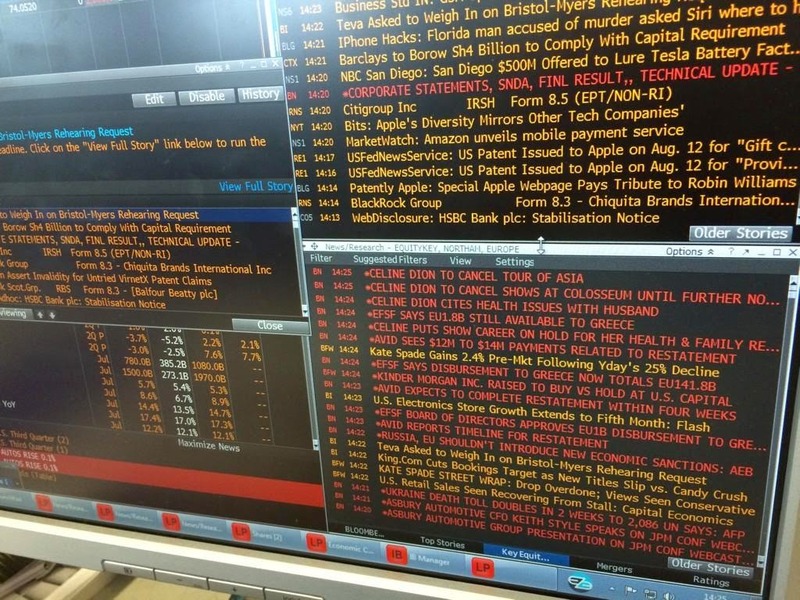 Additionally, Moody's changed the outlooks to negative from stable and affirmed the corporate family ratings and probability of default ratings of RusHydro and Inter RAO Rosseti at Ba1 CFR and Ba1-PD PDR, and RusHydro's senior unsecured rating of its Rouble 20 billion ($500 million) loan participation notes at Ba1. Outlook for Lukoil was also changed to negative from stable. On October 22, Moody's outlooks for Tatneft and Svyazinvestneftekhim (SINEK) were changed to negative. The actions followed weakening of Russia's credit profile, as reflected by Moody's downgrade of the country’s government bond rating to Baa2 from Baa1 a few days earlier on October 17. Meanwhile, Fitch Ratings said the liquidity and cash flow of Gazprom (which it rates at BBB/Negative) remains strong. The company’s liquidity at end-June 2014 was a record RUB969 billion, including RUB26 billion in short-term investments. Gazprom also reported strong positive free cash flows over this period. “We view the record cash pile as a response to the US and EU sanctions announced in March 2014, which have effectively kept Gazprom, a key Russian corporate borrower, away from the international debt capital markets since the spring. We also note that Gazprom currently has arguably the best access to available sources of funding among Russian corporate,” Fitch said in a note to subscribers. By mid-2015, Gazprom needs to repay or refinance RUB295 billion and then another RUB264 billion by mid-2016. Its subsidiary Gazprom Neft (rated BBB/Negative by Fitch) is prohibited from raising new equity or debt in the West owing to US and EU sanctions, in addition to obtaining any services or equipment that relate to exploration and production from the Arctic shelf or shale oil deposits. On the other hand, a recent long term deal with the Chinese should keep it going. That’s all for the moment folks! Keep reading, keep it ‘crude’! © Gaurav Sharma, October, 2014. 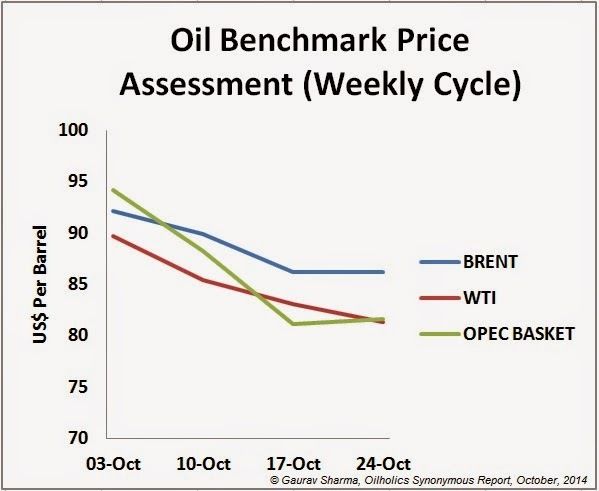 Graph: Brent, WTI and OPEC Basket prices for October 2014 © Gaurav Sharma, October, 2014. Brent dipped below US$84 per barrel at one point this week while the WTI is holding above the $80 level. It’ll be interesting to note how the December futures contract fares as the Northern Hemisphere winter approaches with bearish headwinds lurking in the background. From here on, much will depend on what happens at the next OPEC meeting on November 27, where a production cut has the potential to partially stem the decline. By the time of the meeting in Vienna, we’d already be well into the ICE Brent January contract. The mere possibility of a production cut isn’t enough to reverse the slide at the moment given wider market conditions. But as ever, OPEC members are presenting a disunited front diluting any market sentiments aimed at pricing in a potential cut. The answer lies in an interesting graphic published by The Economist (click here) indicating price levels major producers would be comfortable with. There are no surprises in noting that Iran, Venezuela and Russia are probably the most worried of all exporters. While several OPEC members prefer at least a $100 price floor, in recent weeks Saudi Arabia has quite openly indicated it can tolerate the price falling below $90. The Saudis also lowered their asking price in a bid to maintain market share. That’s bad news for most of OPEC, excluding Kuwait and UAE. In turn, Iran responded by lowering its asking price as well even though it can't afford to. So the debate has already started, whether in not wanting to repeat the mistakes of the 1980s which left it with a weakened market share; Saudi Arabia might in fact trigger OPEC discord and a slump akin to 1986. While the Oilholic doubts it, certain OPEC members wouldn’t be the only ones hurt by the Saudi stance which abets existing bearish trends. US shale and Canadian oil sands exploration and production (E&P) enthusiasts will be troubled too. While the oil price is tumbling, the price of extracting the crude stuff isn’t. Fitch Ratings says Brent could dip to $80 before triggering a self-correcting supply response with shale oil drillers cutting investment in new wells. Anecdotal evidence sent forth by the Oilholic’s contacts in Calgary point to similar sentiments being expressed in relation to the oil sands. The steep rate at which production from shale wells declines mean companies have to keep drilling new wells to maintain production. Fitch estimates median full-cycle costs for E&P companies have fallen to about $70 in the US. The marginal barrel, not the median one, balances supply and demand and determines price, so the point at which capex falls will probably be higher. Over the short-term, Fitch considers a resurgence of supply disruptions and positive action from OPEC as the most likely catalysts for a rebound in prices. “But without these, further declines might be possible, especially if evidence grows of further weakening of global demand or increasing OPEC spare capacity,” the agency adds. Longer term, an uptick in economic activity in China and India will contribute to a growth in oil demand. However, what we’re dealing with is short-term weakness. IEA demand growth for 2015 has been revised by 300,000 barrels per day (bpd) and 2014’s estimate by 200,00 bpd. The Oilholic suspects Saudi Arabia, Kuwait and UAE are only too aware of this and capable enough to withstand it. What happens at OPEC’s next meeting would depend on the Saudis. The Oilholic still rates the chances of a production cut at 40%. One feels that having the capacity to withstand a short-term price shock, Saudi Arabia wouldn’t mind other producers squirming in the interest of self-preservation. Meanwhile, the industry is also grappling with the unfolding Ebola outbreak which has claimed thousands of lives in West Africa. Unsurprising anecdotal evidence is emerging of companies having difficulty in finding engineering experts, roughnecks or support staff willing to work at West African prospection sites. In order to get a base case idea, browse job openings at a recruitment site (for example – Rigzone) and you’ll find pay rates for working in West Africa climb above sub-zero winter working rates on offer at Fort McMurray, Alberta, Canada. Three recruitment consultants known to this blogger have expressed similar sentiments. While most of the drilling is offshore, workers' compounds are onshore in Guinea, Sierra Leone and Liberia. Additionally, local workers return to their homes mingling with the general population at risk of getting infected. The fear is putting off workers, and many companies have internal moratoriums on travel to the region. Forget workers, even investors are having second thoughts for the moment. Both Reuters and USA Today have reported caginess at ExxonMobil about the commencement of offshore drilling in Liberia at the present moment in time.The company already restricts non essential travel by its employees to the region. Shell and Chevron have similar safeguards in an industry heavily reliant on expat workers. GlobalData says of the affected African countries only Nigeria is equipped to handle the Ebola outbreak. GDP of the said countries is likely to take a hit from loss of lives and revenue. International SOS, a Control Risks Group affiliate company which provides integrated medical, clinical, and security services to organisations with international operations, has been constantly updating advice for corporate travel to Guinea, Liberia or Sierra Leone, the current one being to avoidance all non-essential travel to the region. We shall see whether Statoil’s loss is indeed BG Group’s gain. That’s all for the moment folks! Keep reading, keep it ‘crude’! © Gaurav Sharma 2014. Photo: Vintage Shell Fuel Pump, San Francisco, USA © Gaurav Sharma. Mercury is not rising (at least where this blogger is), it’s not half past 10 (more like half past four), and it’s certainly not for the first time in history, but Hallelujah it’s Bearish Brent! Sorry, a rather crude attempt to re-jingle that ‘80s hit song, but on a more serious note there is a bit of a commotion in the oil markets with bears roaming the streets. 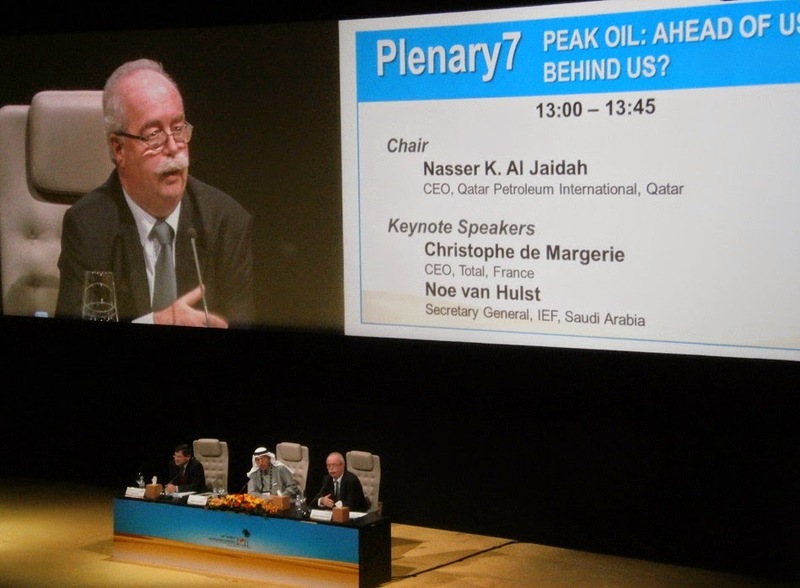 As the readers of this blog would testify, the Oilholic has short called Brent for a while now. Being precise, the said period covers most of the past six and current Brent front-month contracts. Aggressive yelling of the word 'risk' proved this supply-side scribe wrong for June, but one has been on the money most of the time since the summer. July’s high of US$115.71 per barrel was daft with speculators using the initial flare-up in Iraq as a pretext to perk things up. The Oilholic said it would not last, based on personal surmising, feedback from physical traders and their solver models. And to the cost of many speculators it didn’t. As one wrote in a Forbes post earlier this week, if an ongoing war (in the Middle East of all places) can’t prop up a benchmark perceived to be a common proxy for oil prices on the world market, then what can? Rather controversially, and as explained before, the Oilholic maintains that Brent is suffering from risk fatigue in the face of lacklustre demand and erratic macroeconomic data. In Thursday’s trade, it has all come to down to one heck of a bear maul. Many in the City are now wondering whether a $90 per barrel floor might be breached for Brent; it already has in the WTI’s case and on more than one occasion in intraday trading. All of this comes on the back of Saudi Arabia formally announcing it is reducing its selling price for oil in a move to protect its share in this buyers’ market. The price of OPEC basket of twelve crudes stood at $92.31 dollars a barrel on Wednesday, compared with $94.17 the previous day, according to its calculations. With roughly 11 days worth of trading left on the November Brent front-month contract, perceived oversupply lends support to the bears. Nonetheless, a bit of caution is advised. While going short on Brent would be the correct call at the moment, Northern Hemisphere winter is drawing closer as is the OPEC meeting next month. So the Oilholic sees a partial price uptick on cards especially if OPEC initiates a production cut. The dip in price ought to trouble sanction hit Russia too. According to an AFP report, Herman Gref, head of Sberbank, Russia’s largest bank, said the country could repeat the fate of the Soviet Union if it doesn't reform its economic policies and avoid the "incompetent" leadership that led to the end of communism. Speaking at the annual “Russia Calling” investment forum in Moscow, Gref said Russia imports too much, is too reliant on oil and gas exports and half of its economy is monopolised. The dynamic needs to change, according to Russia’s most senior banker, and one employed by a state-owned bank. Away from Russia, here is the Oilholic's latest Forbes post on the prospects of shale exploration beyond North America. It seems initial hullabaloo and overexcitement has finally been replaced by sense of realism. That said, China, UK and Argentina remain investors’ best hope. On a closing note, while major investment banks maybe in retreat from the commodities market and bears are engulfing it for the time being, FinEx group, an integrated asset management, private equity and hedge fund business, has decided to enter the rocky cauldron. Its specialist boutique business – FinEx Commodity Partners – will be led by Simon Smith, former Managing Director and Head of OTC Commodity Solutions at Jefferies Bache. That’s all for the moment folks! Keep reading, keep it ‘crude’! © Gaurav Sharma 2014. 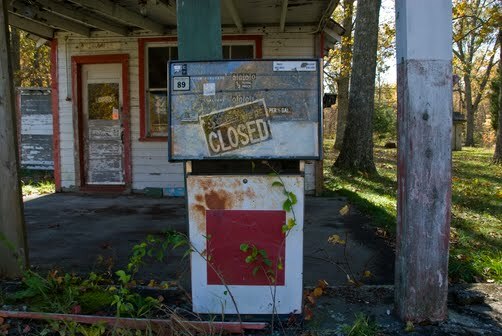 Photo: Disused gas station, Preston, Connecticut, USA © Todd Gipstein / National Geographic.